To a group of local kids in Pittsburgh, Alison Riske is more than just the hometown girl who is now a standout pro. She’s a hero. A Pittsburgh native who is currently ranked No. 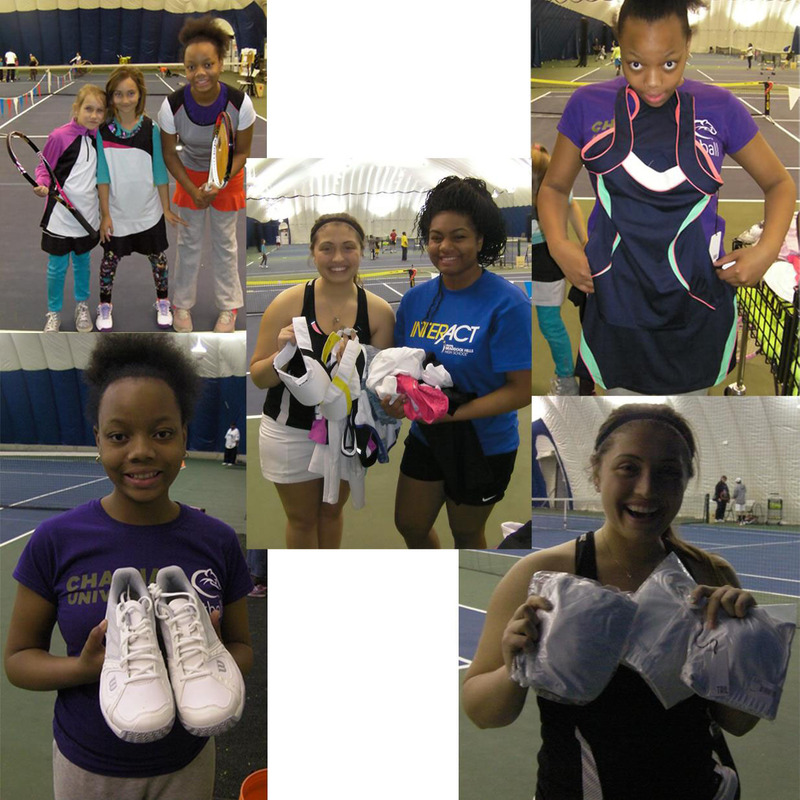 43 in the world, Riske recently changed sponsors and donated numerous bags of her former sponsor clothes to kids of the Inner City Junior Tennis Program (ICJTP) in Pittsburgh. The ICJTP is a non-profit organization designed to provide access to tennis for youth and to utilize tennis as a means to promote individual achievement and motivation. Based in Riske’s home city, the ICJTP was founded in 1974 by Willa Bentley, who achieved significant acclaim in the late 1960s and 70s as one of Pittsburgh’s first competitive African American female tennis players. After evolving into one of the city’s more highly sought-after private tennis instructors, Bentley established the ICJTP as a means to provide access for students who were not traditionally exposed to tennis. Now a highly-successful pro player, Riske first picked up a racquet at the age of 3 and is familiar with the influential impact tennis can have in the lives of children. So when she changed sponsorships in 2014, she was left with bags of unworn and unneeded clothes from her previous sponsors. Unwilling to have them go to waste, she thought of her hometown. Riske connected with the ICJTP after getting in contact with John Delaura, a USTA official. He directed her to local District Tennis Service Representative, Kelle Cunningham, who knew exactly where the donation should go. The donation arrived in three large, white kitchen bags which were bursting at the seams with clothes from TAIL and shoes from Wilson. Many still had tags on them. The gear was distributed to the girls in the program, and after all was said and done, there was still some to spare for the those on the travel team. Martha Hall, Program Director at ICJTP, said the girls were overwhelmed with the donation. Many of the older players knew of Riske, which made the gesture that much more special. Hall sent photos and a card to Riske to express her gratitude on behalf of the kids in the program. To learn more about the Inner City Junior Tennis Program, click here.